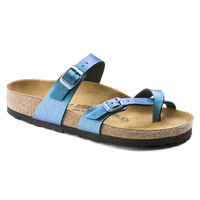 An interesting Birki, offering an alternative to a thong. 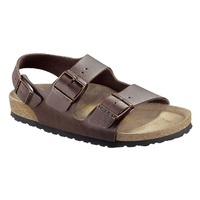 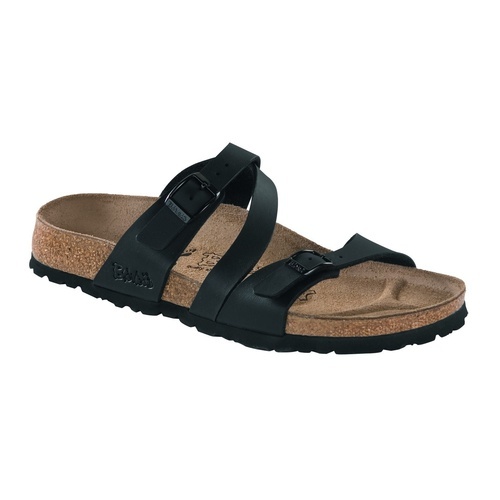 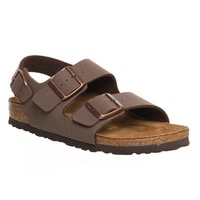 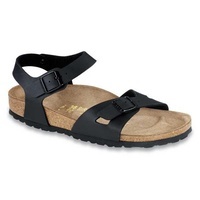 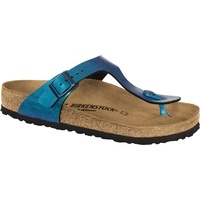 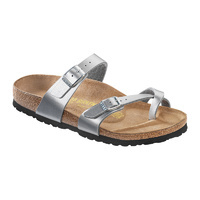 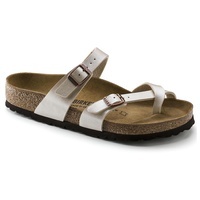 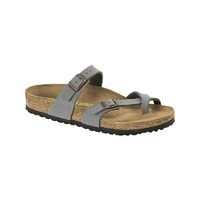 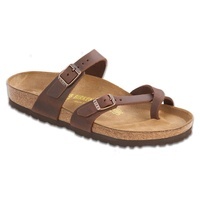 The sandal upper is a soft and comfortable fabric, with an outer layer that has a leather like structure. 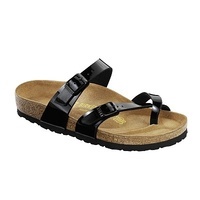 It is very tear resistant and stretches very little over the life of the thong. 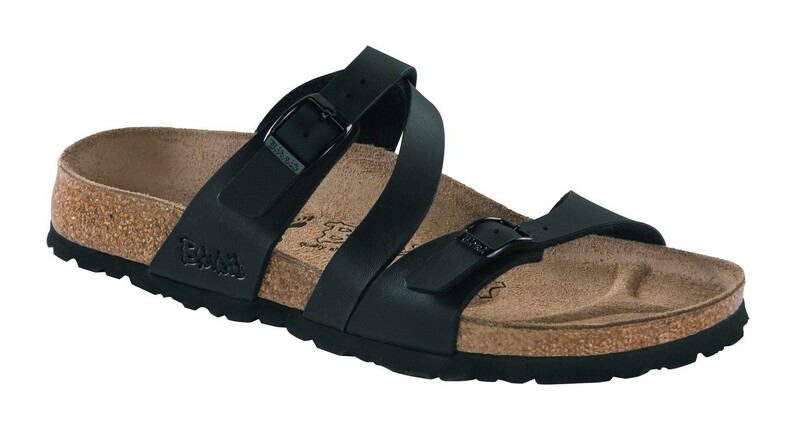 It is extremely low maintenance, easy to clean and has virtually no "wearing in" period like leather, which can take some days to mould to your foot.